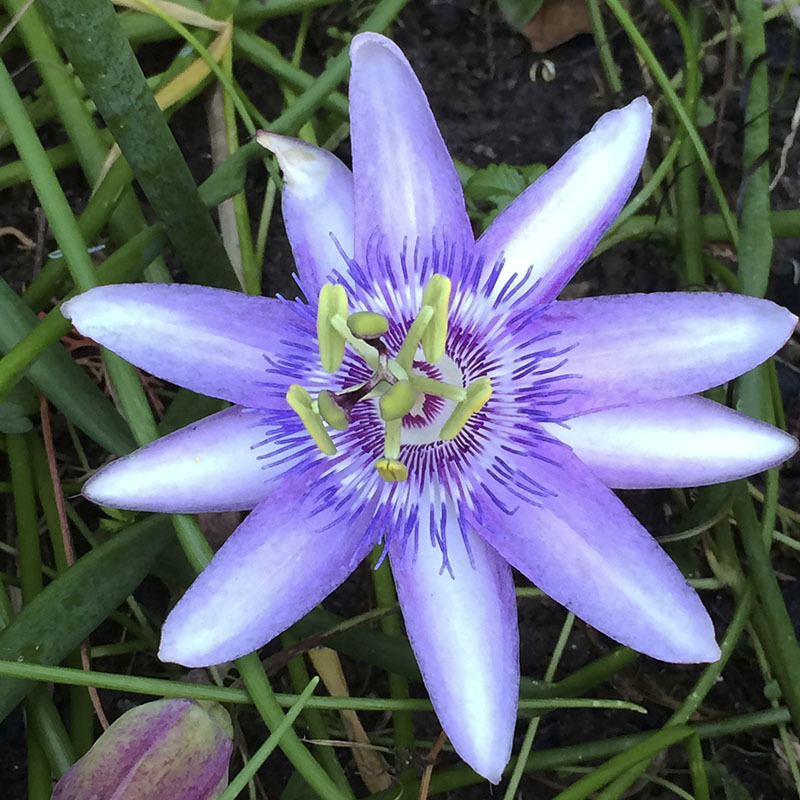 This passion vine ranks among the top for its floriforous nature and reliable bloom. It is a POWER BLOOMER! Rich, jewel-like, other worldly, purple flowers bloom May to December. Will tolerate some frost, but not hard freezes. Bring indoors in winter for continued bloom or grow as an annual. Full-part sun. Height 20-40′. Spread 6-15′. Zones 9-11.